This system is versatile enough to offer the full suite of functions of DR, with the added option of performing a wide range of flouroscopic and cine examinations as well. A perfect match for the fluctuating needs of modern radiological departments. 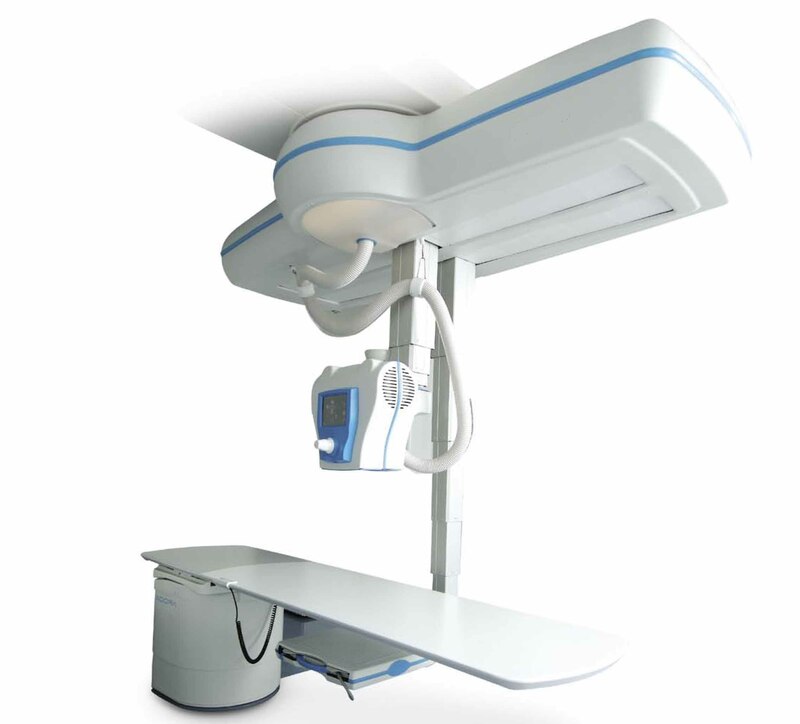 It is great for dynamic images, which can also be performed anywhere within the x-ray room. Let yourself be inspired and rethink examinations such as gastrointestinal tube placements, swallow studies in light of the opportunities that come with being able to perform flouro Anywhere. Take charge of patient-side procedures with the in Control console. This easy-to-use console places all the functions you need, right at your fingertips. Four joysticks and an intuitive user interface means direct access to key functions such as system positioning, setting and adjusting image parametres and perform specialised movements, such as inOrbit, iso-centric tracking which lets you expose an anatomy from several angles. InTouch technology in all joysticks on ensures a seamless user experience, while preventing accidental system movements by only reacting to the touch of a hand. With the latest Canon detectors and imaging software, digital images have never looked better. The features the CXDI 50RF detector, which combines outstanding static image capabilities with high sensitivity, high resolution dynamic capabilities. Eliminate unnecessary patient lifts with DR System. This system was designed to provide Access Anywhere you need it, and can easily accommodate space for patient beds, wheelchairs or lifts before, during or after exposures.